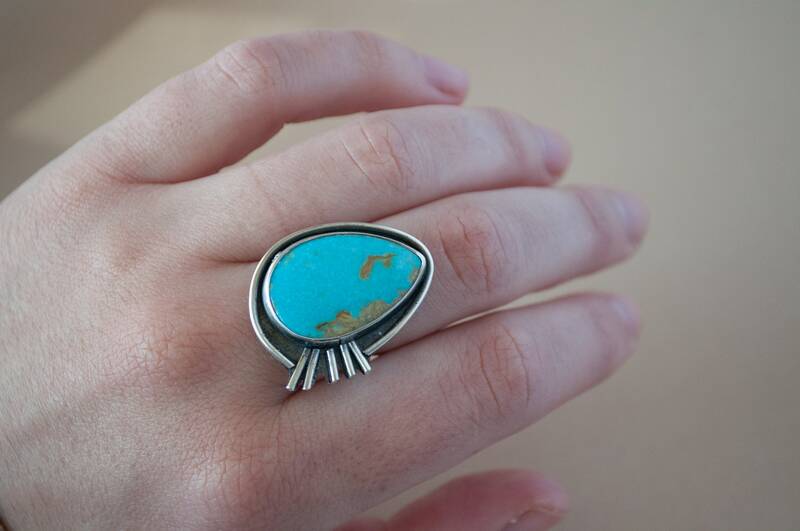 A big piece of turquoise set in .925 sterling silver. 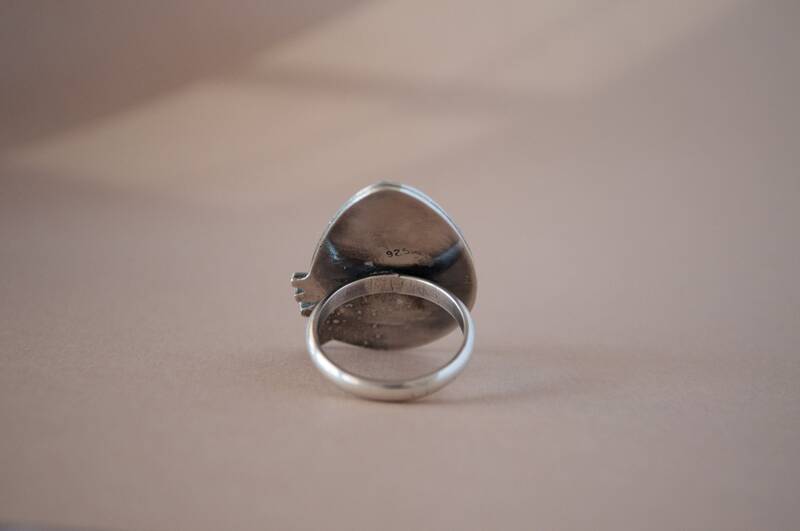 This ring is ready to ship! I try my best to make sure each item is securely packaged before I ship them out. If for some reason your item is damaged, lost, or it wasn't what you expected, please let me know. I will gladly issue a refund for the item, once it is sent back in the original box. *If item is damaged upon return, there will be an additional fee subject to the amount of damage. Electroforming is a metal forming process that forms a layer of copper onto a conductive surface. This method allows me to create beautiful pieces that highlight the natural qualities of each stone, keeping true to an entirely organic look and feel. 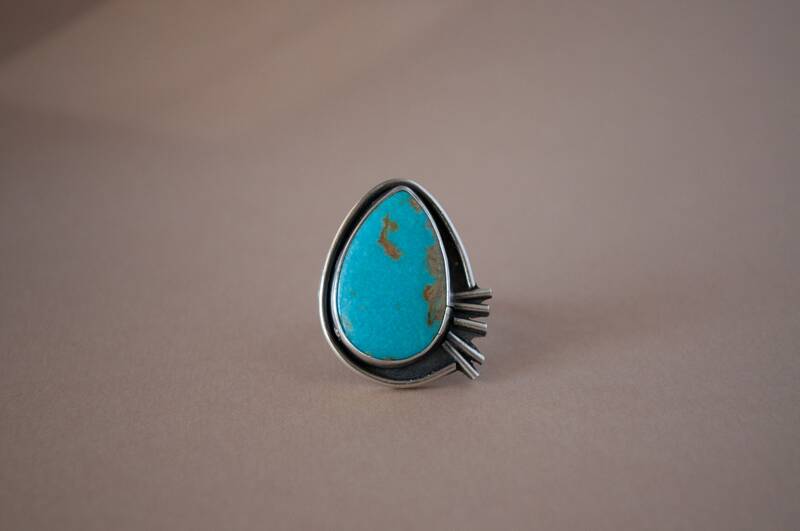 Allowing the copper to form around the curvature of each gemstone makes each piece completely one of a kind.. A combination of alchemy and art! 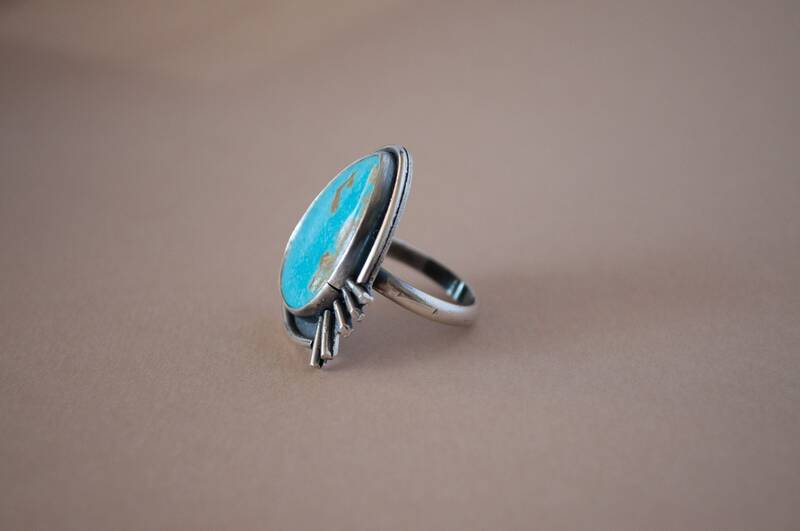 I stain each piece of jewelry with a patina called "Liver of Sulfur", and then seal it with a jewelers wax. Copper naturally darkens over time, and there are many different color stains which you can apply to enhance its overall look. Patinas wear over time, and should you wish to freshen your piece, you can purchase Liver of Sulfur at local craft stores or online. Some people green and others do not. Greening is simply the copper reacting to the air and your body's chemistry. Greening is not harmful and can be removed with non-gel toothpaste. Please let me know if you would like a custom order. I will be happy to made something one of a kind for you!